We are a nation obsessed with saving time and increasing convenience. It's no wonder that research shows that lifestyle issues such as obesity and inactivity now account for more than 50% of illness in the United States! By taking charge of our personal wellness, we can turn that around - leading healthier, more vibrant, and balanced lives. One reason why wellness is a good fit for the workplace is that, quite simply, many of us spend a good portion of our waking hours at work! The workplace is its own little community, with a captive audience and the opportunity for social, organizational, and environmental support of healthy habits. In addition, because an employer has much to gain from healthier employees, it makes sense for the employer to provide opportunities and resources for wellness, as well as to facilitate the process. It is intuitive that people who feel better are capable of greater accomplishments. In the workplace, this boils down to recognizing that the physical and mental well-being of employees has a direct impact on the quality of service a company can provide and the resulting financial health of the company. Healthy employees cost their companies less in medical expenses and they are at work and at their best more often than their unhealthy counterparts. Bottom Line, What's the Key? Worksite wellness works. Corporate health promotion programs are succeeding in improving the health of employees and saving money for their companies. With Fitness InSight, you receive the benefit of over 17 years of award-winning corporate wellness and corporate fitness experience. (Click here for My Credentials.) 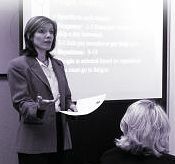 My experience runs the gamut from strategic planning to program implementation to group seminars and classes to working directly with employees on their individual wellness issues. You'll receive the latest on industry standards and best practices as well as creative ways to address your company's unique needs. Whether you are looking for a comprehensive program or just a little help, you will not be disappointed with Fitness InSight's responsiveness and attention to detail. 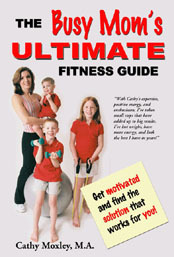 Review the following list of Fitness InSight Worksite Wellness Services. Custom services are also available.